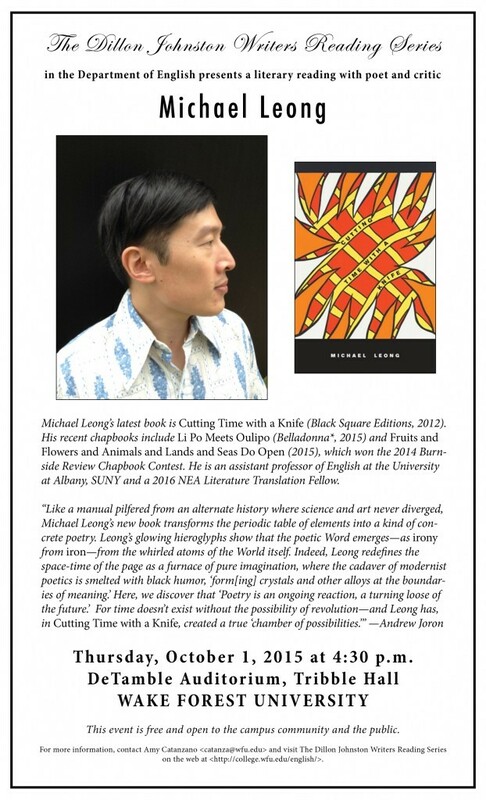 The Dillon Johnston Writers Reading Series in the Department of English is pleased to be sponsoring a poetry reading with poet and critic MICHAEL LEONG on Thursday, Oct. 1 at 4:30 p.m. in DeTamble Auditorium, Tribble Hall. The event is free and open to the entire campus community and the public. For more information, see the Dillon Johnston Writers Reading Series.